Alexander Vinitsky - a zychnoye name in Russian music. Composer and virtuoso guitarist, teacher of the Russian Academy of Music. Gnesin and the author of textbooks. There are many regalia. And a lot of skill. And yet, in my opinion, this is not the main thing. The main thing is that Alexander Vinnytsky knows how to show with his music the beauty of the human soul, its high sadness. Characteristic in this sense are the compositions "Over and Over Again", "Love for sale", "Lady be Good". Vinitsky's music is a clear, frank conversation with the listener. And this conversation is interesting to me. 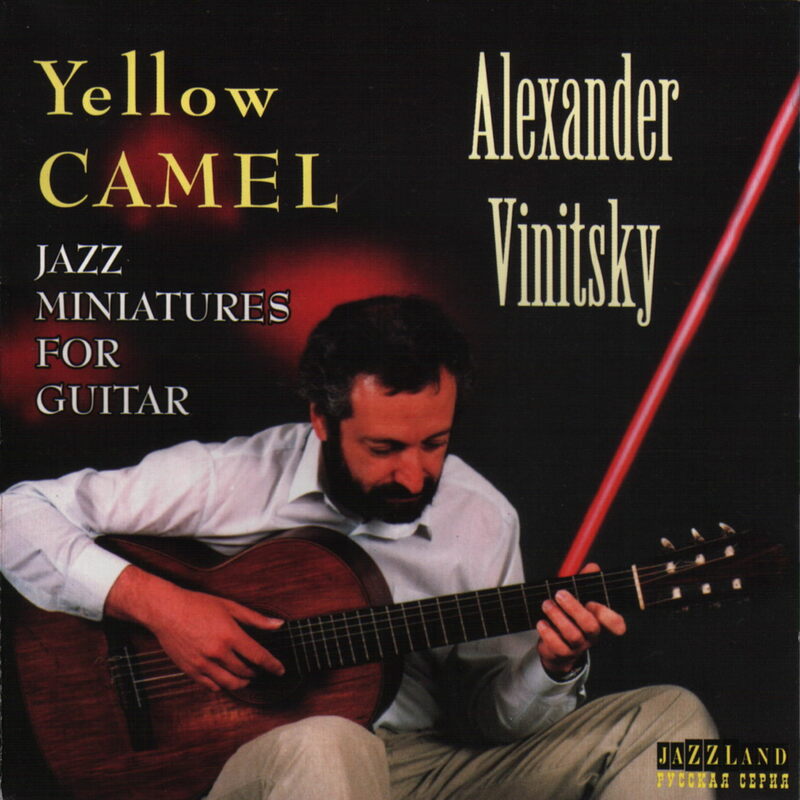 Guitarist Alexander Vinitsky, who was born in Omsk, came to jazz quite easily, but the publication of this album was preceded by many events. He first began to play jazz, and then - to him to learn, which was, in general, an act rather formal. Alexander worked as a music director at the Omsk Drama Theater, wrote music for performances, after which he worked with Elena Kamburova, and only in 1986 he entered the school again, this time at the Gnesin Institute. AT . In 1991 he released his first solo album, composed of compositions by Bonf and Jobim, the musician worked and recorded in Poland, published several sheet music for guitar, including in Belgium. A fair number of plays for this solo album, I confess, was a little puzzling: I was expecting to hear something like a stream of consciousness of a musician, who had the opportunity to speak the way he wanted. But this disk is easy to listen to, with pleasure. Perhaps the music of Vinitsa's page is slightly background: it's hard to throw off experience of working in the theater. 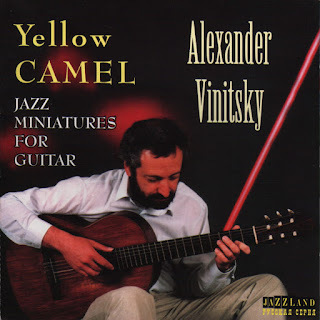 And if you start from the definition of any solo work of a musician as a "canvas", then this "Yellow Camel" is rather a collection of transparent watercolors composed of both author's plays and classical jazz themes.The water color of Vinitsky's author's music is evidenced sometimes by air , elegant names. And as a result - the music of this album does not load, it comes into consciousness very easily, playfully, leaving the most pleasant sensations. Alexander Vinitsky skillfully conveys a mood game in music. Sometimes his plays (Prelude No. 5, for example) sound like a couple of dozen seconds, but at the same time they are completely finished pieces. They are like those smears, each of which performs its role on a large canvas, and all of them together create the actual picture. The album clearly has a subtitle, "Jazz Miniatures for Guitar". The only thing that spoils the impression is the untidiness of the editorial board, which, apparently, looked only at the whole, ignoring the details. And as a result - grammatical blunders in the texts. Here you read "ragtim" Up Intertainer ", in some cases instead of the name Vinitsky you see Vimtsky.In addition, the Russian-language version of the text more than enough stylistic inaccuracies that are easily solved by any computer.